Although the 2019 Hyundai Sonata may not be able to outsell cars like the Toyota Camry, it still proves to be one of today’s best overall family sedans. Not only is the midsize Sonata sleek and stylish, but it also offers a lot of nice technologies. All of the industry’s popular safety innovations are offered, including automatic collision intervention and blind-spot detection. Generous warranty coverage also helps make the Sonata a standout value. Should you choose the new Sonata over the competition? Only a few changes were made to the 2019 Hyundai Sonata. However, the stylish Sport model can no longer be equipped with a powerful turbocharged engine. Most of the Sonata’s biggest updates occurred last year, including refreshed exterior styling. While the Sonata’s base four-cylinder engine may not produce jaw-dropping power, it does deliver a smooth performance. This 185-horsepower engine is perfect for the purpose of hustling around town on an everyday basis. When called upon, the 2019 Hyundai Sonata will have no problems keeping up with traffic. Its eight-speed automatic transmission is equally as smooth. You’ll like how effortlessly the transmission moves from one gear to the next. If you care about getting the optimum fuel economy, take a serious look at the Sonata Eco. It comes equipped with a smaller turbo engine, which develops a significant 195 pound-feet of torque. Because of the Eco model’s surplus of torque, you’ll be able to enjoy rather swift acceleration. In terms of fuel economy, the EPA rates the Sonata Eco to deliver a combined 31 mpg. 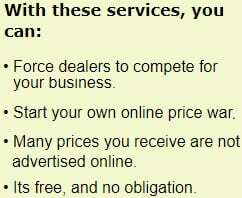 You also don’t need to spend money on premium gas. Drivers seeking a more compelling performance should step up to the larger 2.0-liter, turbocharged engine. It pours out a more entertaining 245 horsepower. Although the Sonata 2.0T can’t match the Honda Accord’s fleet-footed acceleration, it’s plenty quick. The extra kick under the hood makes driving the Sonata more fun. Despite being the least efficient version of the Sonata, the Limited 2.0T can still return 32 mpg on the open road. Last year, Hyundai reworked the Sonata’s suspension to deliver better handling. It’s definitely more agile than previous models. When traveling around curves, the 2019 Hyundai Sonata feels quite solid. Fortunately, ride quality has not been diminished. You can also take advantage of the Sonata’s standard Drive Mode Select system. While the Comfort mode makes steering easier on the highway, the Sport setting tightens up the steering feel to give you more feedback. The 2019 Hyundai Sonata is easy on the eyes. Crisp lines help give it an athletic appearance. A cascading grille bolsters the sedan’s styling. LED headlamps are found on the upper trims. Although the Sonata Sport is not a high-performance car, it does have the look of an exciting sports sedan. Dual exhaust tips and a sport front bumper give the Sonata a bit more attitude. A total of seven paint colors are available, including Scarlet Red and Quartz White Pearl. All versions of the 2019 Hyundai Sonata are protected by one of the industry’s best warranty packages. 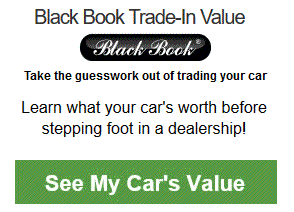 This is a huge benefit for the drivers who’re looking to buy a new Sonata opposing to leasing. The Sonata’s powertrain is covered for 100,000 miles. Like Honda, Toyota only provides a 60,000-mile powertrain warranty. Sonata buyers will also enjoy a 60,000-mile new vehicle limited warranty. Standard roadside assistance sweetens the deal. If cost is an important factor, the 2019 Hyundai Sonata should catch your attention. It has an MSRP of less than $22,500. For this price, you’ll receive Hyundai’s great warranty and a good number of standard features. Highlights include a 7.0-inch touch screen, smartphone integration, and Bluetooth. Buyers also don’t have to pay extra for helpful safety technologies like blind-spot monitoring and rear cross-traffic alert. The fuel-saving Sonata Eco is just a few hundred dollars more expensive. Whether you stick with the base SE model or step up to the luxurious Sonata Limited, you’ll be able to savor Hyundai’s well-executed Blue Link infotainment system. Apple CarPlay and Android Auto enable you to access mobile apps via the interface's touch screen. The voice controls work well, which means you can easily make commands while on the road. Although most people will be satisfied with the standard 7.0-inch display, you can upgrade to a larger screen. The 2019 Hyundai Sonata ranks high as a family car. Spacious rear seats and wide-opening doors make it easy for everyone to hop in. Front-seat ventilation is found on the Limited trims. There also isn’t much noise inside the cabin. Because of the Sonata’s good ride comfort on the highway, it’s a great car for traveling. Rear USB ports enable passengers to keep their phones charged. Unlike most of the other cars in this class, the 2019 Hyundai Sonata offers a hands-free smart trunk. It makes grocery shopping more rewarding. When returning to your car with a handful of bags, simply stand near the trunk. It’ll automatically open up without you needing to use a key. The Sonata’s 2.0-liter turbocharged engine does give the sedan a more exciting character. Nevertheless, it’s not as quick as the Honda Accord or the V6-powered Toyota Camry. With a tested 0-60 time of 7.1 seconds, the Sonata 2.0T is actually a few ticks slower than the cheaper Hyundai Elantra Sport. Furthermore, you can’t equip the Sonata with a manual gearbox. The 2019 Hyundai Sonata is designed with a front-wheel-drive system. While the Sonata is a good choice for most of the country, it may not be the best option for drivers living in snow-prone regions. An AWD system would make the Sonata a more suitable choice for harsh winter weather. Although the Accord and Camry still don’t offer all-wheel drive, it’s now available on the all-new 2019 Nissan Altima. A lot of drivers will be attracted to the Sonata Sport’s sleek profile. While the Sonata Sport looks like a high-powered sedan, it does not perform like one. In fact, there are no performance advantages to the Sport trim. Hyundai no longer allows you to get the Sport trim with its top-of-the-line engine. Furthermore, the Sonata Sport does not benefit from an stiffer suspension system. A sloping roof helps enhance the Sonata’s curb appeal. Unfortunately, it also eats into the sedan’s room. When climbing into the backseat, some passengers may need to duck their head. The 2019 Hyundai Sonata has a better warranty than the 2019 Honda Accord and the 2019 Toyota Camry. However, these top-selling competitors are arguably more fun to drive. Honda’s engaging manual transmission makes the Accord especially sporty. While automatic emergency braking is optional on the Hyundai Sonata, it’s standard on these rival family sedans. If you need to drive in snowy weather, the Subaru Legacy’s standard Symmetrical AWD will inspire more confidence. Some drivers will also be test driving the new Mazda 6. It’s more fun to drive than the Hyundai Sonata. While the new Nissan Altima is destined to be a big seller, the long-term reliability of its cutting-edge VC-Turbo engine has yet to be proven. The 2019 Hyundai Sonata should leave you satisfied. 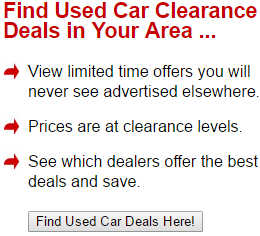 Buyers will especially appreciate the sedan’s superior warranty coverage. Families will also be thankful for the Sonata’s excellent crash protection. Blind-spot detection is now included as a standard feature. Although the 2019 Hyundai Sonata may not offer class-leading driving excitement, most people will find the Limited 2.0T trim to be a lot of fun. While the Sport trim has a racy look, it’s a bit short on performance. • Why Buy a 2019 Hyundai Accent? • Why Buy a 2019 Hyundai Elantra? • Why Buy a 2019 Hyundai Ioniq? • Why Buy a 2019 Hyundai Kona? • Why Buy a 2019 Hyundai Santa Fe? 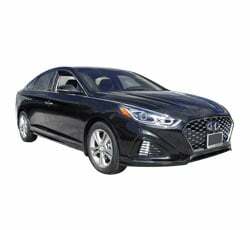 • Why Buy a 2019 Hyundai Sonata? • Why Buy a 2019 Hyundai Tucson? • Why Buy a 2019 Hyundai Veloster?